When you create a new product in Shopify, it also creates a product handle which is same as the product name. So for example if your product name is “My Awesome Product”, then the handle would be “my-awesome-product”. You can think of the product handle as the Permalink for that particular product’s page. But what if you want to change the product handle? It is very easy and in this tutorial I will explain how to edit a products’ handle. Go to the product page in Shopify and look for the Edit Website SEO Section at the bottom of the page. Refer to this screenshot. Now once you locate that section, you can quickly edit the product handles from there. Refer to this screenshot. 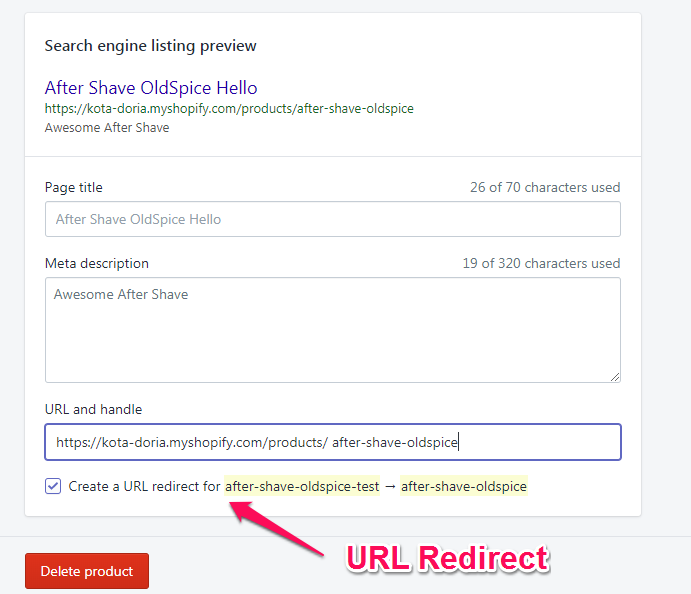 As you can see Shopify also asks for creating a redirect when you update the handle. This ensures that your older product links also work. This is good for UX and Search Engine traffic. So unless and until you plan to create redirects yourself, I recommend that you keep this box checked. Well that’st it. It is really this simple.